Benzodiazepines are the standard medication class for treating alcohol withdrawal. Guidelines recommend dosing based on objectively measured symptoms (symptom-triggered therapy) rather than fixed dose regimens. However, the superiority of symptom-triggered therapy has been questioned, and concerns have been raised about its inappropriate use and safety. We aimed to assess whether symptom-triggered therapy is superior to fixed dose schedules in terms of mortality, delirium, seizures, total benzodiazepine dose, and duration of therapy. A systematic literature search using Medline, Embase, and the Cochrane Registry through February 2018 was conducted for randomized controlled trials of patients with alcohol withdrawal syndrome comparing fixed dose benzodiazepine schedules to symptom-triggered therapy. Risk of bias was assessed using the Cochrane Risk of Bias Tool. Outcomes were pooled using random effects meta-analysis. Heterogeneity was estimated using the I2 statistic. Strength of evidence was assessed using methods outlined by the Agency for Healthcare Research and Quality. Six studies involving 664 patients were included. There were no deaths and only one seizure in each group. Four studies reported delirium, which occurred in 4 out of 164 patients randomized to symptom-triggered therapy compared to 6 out of 164 randomized to fixed dose therapy (odds ratio, 0.64 [95% CI, 0.17–2.47]). Three studies reported duration of therapy, which was 60.4 h less with symptom-triggered therapy (95% CI, 39.7–81.1 h; p < 0.001). Six studies reported total benzodiazepine dosage, which was 10.5 mg in lorazepam-equivalent dosing less with symptom-triggered therapy (95% CI, 7.1–13.9 mg; p = 0.011). Moderate strength evidence suggests that symptom-triggered therapy improved duration of therapy and total benzodiazepine dose in specialized detoxification settings of low-risk patients but the applicability of this evidence in general hospital settings is low. There was insufficient evidence for any conclusions about symptom-triggered therapy for the major outcomes of mortality, seizure, and delirium in any setting. 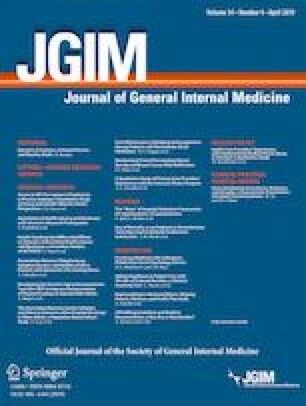 The contents of this manuscript were previously presented at the New England Regional Society of General Internal Medicine Meeting in March 2018 and at the National Society of Hospital Medicine Meeting in April 2018. The authors would like to thank reference librarians Jessica Patterson and Jennifer Martin at VACT and Minna Holleck for her Spanish translation. Berkman ND, Lohr KN, Ansari M, et al. Grading the Strength of a Body of Evidence When Assessing Health Care Interventions for the Effective Health Care Program of the Agency for Healthcare Research and Quality: An Update. Methods Guide for Comparative Effectiveness Reviews (Prepared by the RTI-UNC Evidence-based Practice Center under Contract No. 290-2007-10056-I). AHRQ Publication No. 13(14)-EHC130-EF. Rockville, MD: Agency for Healthcare Research and Quality. November 2013. www.effectivehealthcare.ahrq.gov/reports/final.cfm.